For a breathtaking experience in a sublime scenario, enjoy the elegant interior decoration, stuccoes, paintings, art objects, marble chimneys, antique furniture and oriental carpets. Tables laid with linen tablecloths, silverware and crystals are a wonderful backdrop for exquisite meals served with a selection of the best wines. There’s also an ample choice of “grappas”, port wines, cognacs and vintage year malt whiskies. French experience and genuine Italian tradition. 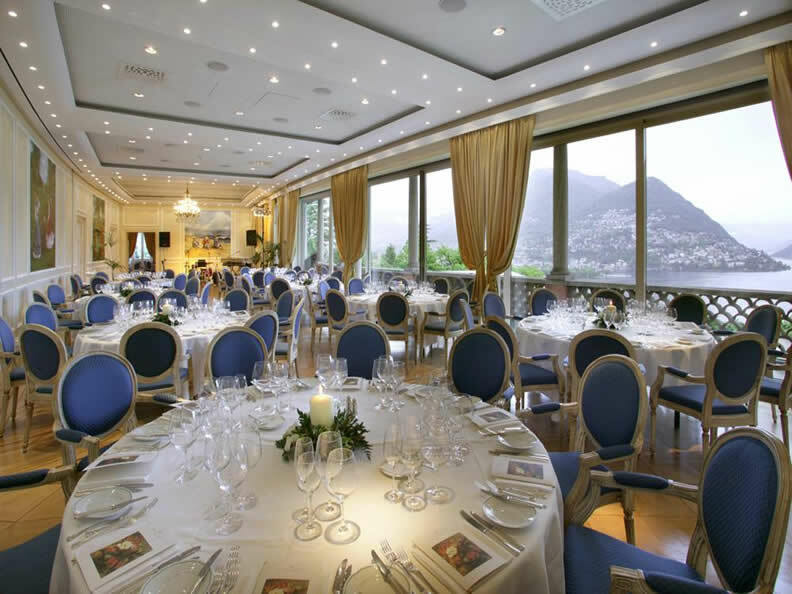 This genuine cuisine, made with passion and respectful of products, offers a taste of Italiy, without neglecting local recipes, classic cuisine or traditional recipes. This cuisine, thanks to Chef Ranza’s masterful touch has obtained numerous awards. 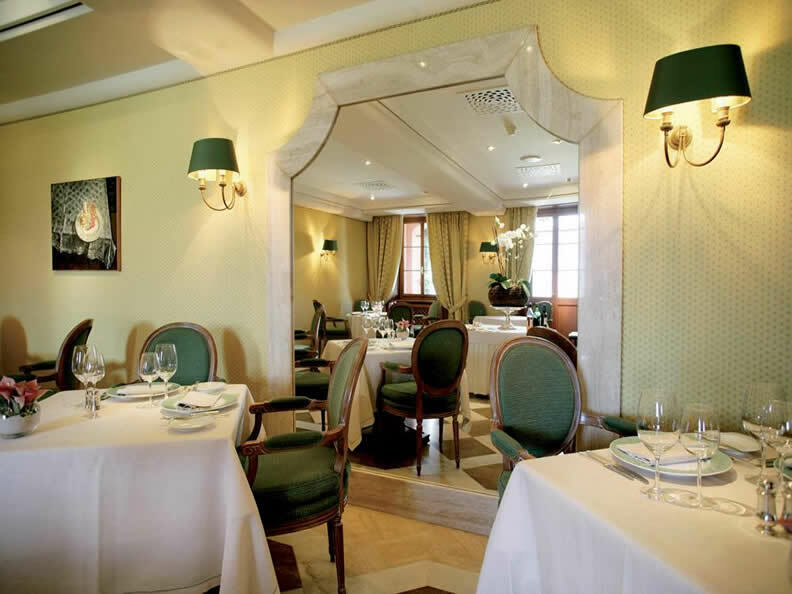 The restaurant boasts excellent mentions in important international guides such as Les Grandes Tables or Gault Millau (17). The lengthy wine menu is most impressive, with over 500 labels selected from the finest wines, amongst which you will find the top names from Ticino, Italy and the principal French regions. Clients are also offered a champagne menu. 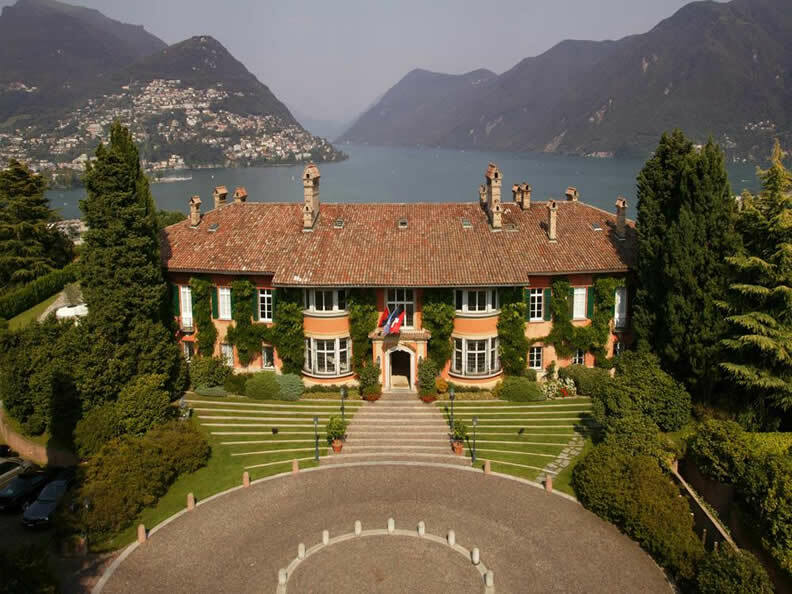 Every month the Villa organises and hosts wine-tasting events offering prestigious wines or champagnes. 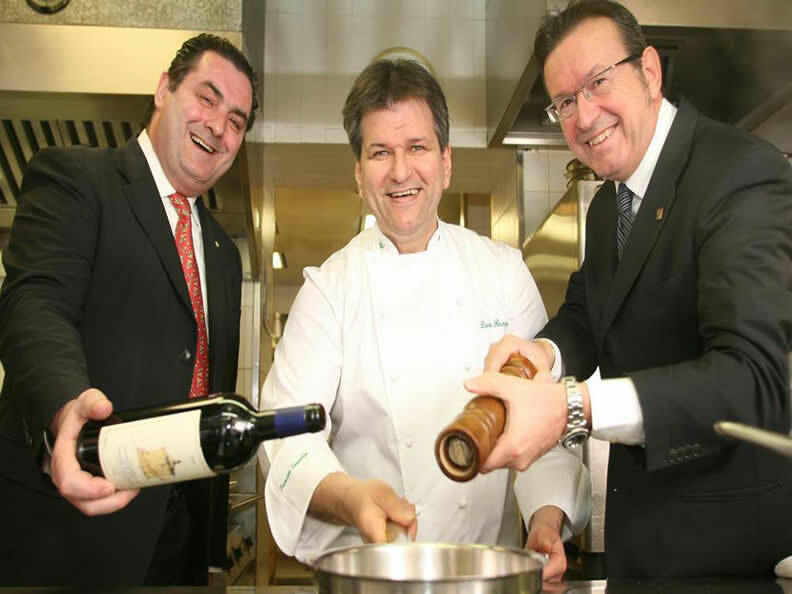 Service is exceedingly professional, provided by two tried and trusted maîtres-sommeliers: Claudio Recchia and Gabriele Speziale. At the Principe Piano Bar, in a chic and friendly atmosphere, all kinds of drinks are served, accompanied by lounge music, either inside or on the panoramic terrace. A terrace to daydream on. Enchanted by a view beyond compare, in an intimate atmosphere cradled by the notes played and sung “live”. Here one can get a taste of special cocktails, masterfully prepared by Chef Barman Mario or great wines, champagnes or malt whisky, perhaps accompanied by excellent quality cigars.